HPG is the file extension for Hide Photos, an AES encrypted secure photo container. It was developed by Bolide Software. Hide Photos, which uses the file extension of '.hpg', is today the best protection for digital photos. Generally, when you access a photo on your computer, even if it is from an encrypted ZIP or RAR archive, it is temporarily stored on your hard disk. Sometimes it remains there for long periods of time, which means that your photo remains unencrypted and unprotected. Anyone can access it at any time from the temporary file folder of your computer. This is where Hide Photo comes in. Hide Photos converts digital photos into '.hpg' file extension. Since this photo container uses the latest industry standard AES encryption with 256-bit keys, it makes your digital photos well protected and safe. No one can access the photos since they cannot be seen because of the strong encryption. Sometimes HPG are refered to HPGL. 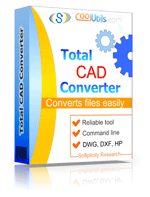 To convert HPG files to PDF, TIFF, JPEG or other formats use Total CAD Converter. The tool converts cad files in batch and keeps folder structure.